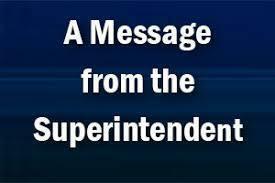 The Richland School District has learned of false information circulating on social media about a threat. The fact of the matter is that the administration and law enforcement have investigated this matter from its inception and have taken extra precautionary measures to ensure student and staff safety. The incident arose from a few students disrupting class and another student commented to the effect that, “enough was enough” in regards to the disruption. This, in turn, was exaggerated on social media. The Richland School District takes any such threats seriously and under state and federal law cannot release information related to student identity.